I will start out my letter by writing about the worst thing. I do not want to go away but the government says we have to go so we have to mind him. It is said in the Japanese paper that we have to go east of the cascade mt. [mountains] but we were planning to go to Idaho of Montana. Now that the war is going on many Japanese men, women and girls are out of jobs and a lot of my friends are in condertration [concentration] camp. If I go there I hope that I will have a teacher just like you. And rather more I hope the war will strighten [straighten] out very soon so that I would be able to attend Washington school. -letter sent by a junior high school student to her former teacher just prior to executive Order 9066, from Ella C. Evanson Scrapbook, Manuscripts and University Archives Division, University of Washington Library. Sometime [the train] stop[ped], you know, fifteen to twenty minutes to take fresh air-suppertime and in the desert, in middle of state. Already before we get out of train, army machine guns lined up towards us-not toward other side to protect us, but like enemy, pointed machine guns toward us. The country-what I have had the strength enough to see is beautiful. The mountains to the North West are rugged, beautiful and stony, but oh so treacherous looking. -Helen Aihara, an internee at the Poston internment camp in Arizona, recalling her first impressions of the landscape. 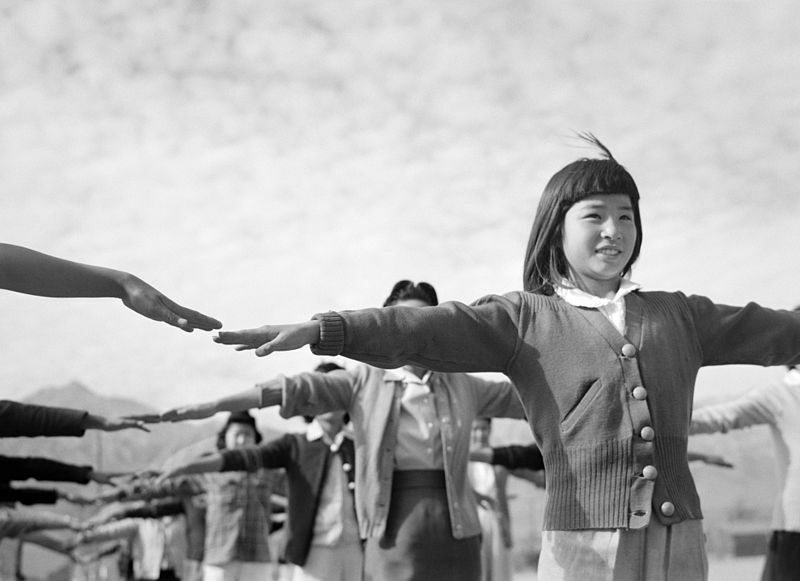 Be prepared for the Relocation Center, which is a pioneer community. So bring clothes suited to pioneer life and in keeping with the climate or climates likely to be involved. Bring warm clothing even if you are going to a southern area, because the temperatures may range from freezing in winter to 115 degrees during some periods of the summer. 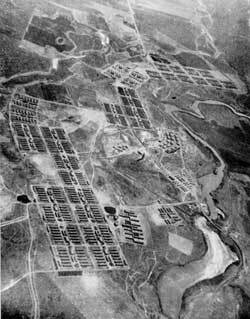 All ten [internment camp] sites can only be called godforsaken. They were in places where nobody lived before and no one has lived since. -Roger Daniels, leading authority on the Japanese interment. Everybody’s hair and eyebrows would be snow-white with sand. Down in our hearts we cried and cursed this government every time when we showered with sand. We slept in the dust; we breathed the dust; we ate the dust. Sometimes America failed and suffered…Sometimes she made mistakes, great mistakes…Her history is full of errors, but with each mistake she has learned….Can we the graduating class of Amache Senior High School believe that America still means freedom, equality, security, and justice? Do I believe this? Do my classmates believe this? Yes, with all our hearts, because in the faith, in that hope, is my future, and the world’s future. Between the barracks there was trellis with morning glories, forming a tunnel of flowers. One block in particular was a showplace. Any outside visitors were taken there. It made you feel that you knew what it was to die, to go somewhere you couldn’t take anything but what you had inside you. And so…it strengthened you. I think from then on we were very strong. I don’t think anything could get us down now. -Margaret Takahashi, an internee reflecting on the internment experience.